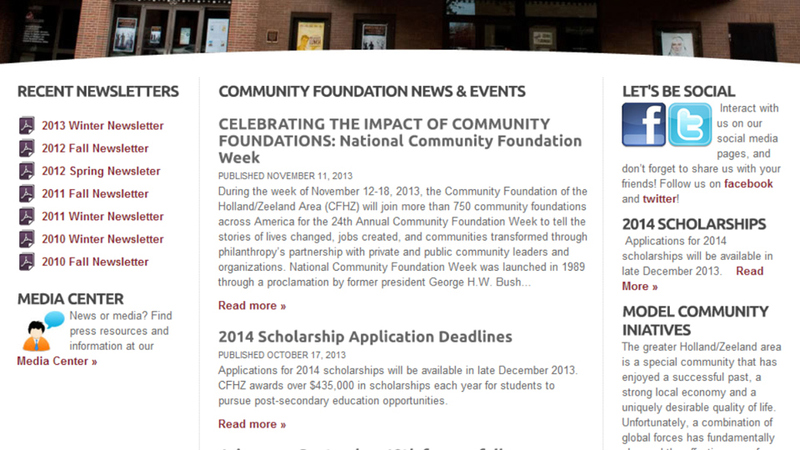 The Community Foundation had a dated website and was looking for a fresher design with a more effective information architecture. 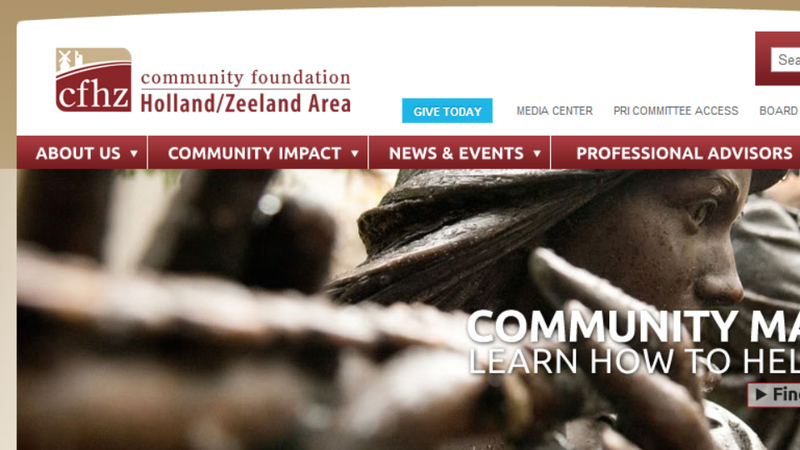 We partnered with Boileau Communications Management LLC to help the Community Foundation develop a new vision for their site. Our role included ExpressionEngine Development, Graphic Design, Information Architecture and Content Strategy. You can visit the site at cfhz.org. The site involved dozens of content types including new articles, pages, scholarships, newsletters, staff and trustee members. 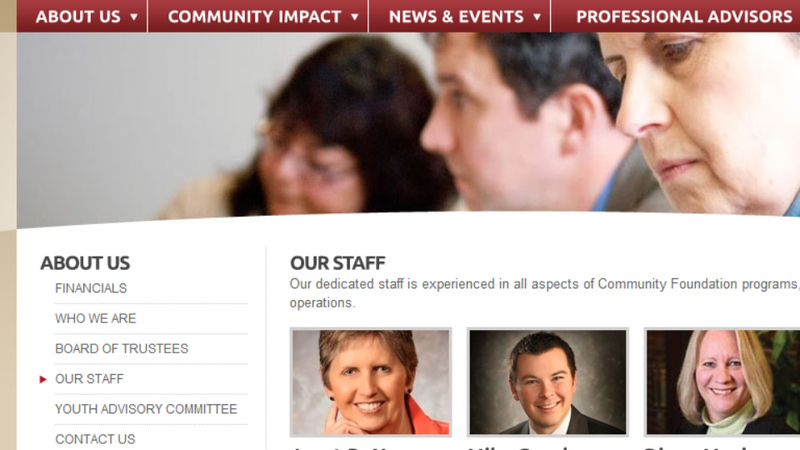 The site also has two back-end, user-access-controlled sections for board members only. © 2016 Gaijin LLC. All Rights Reserved.